It is a strange weather these days. 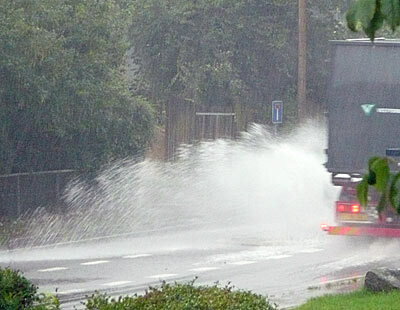 Every second day the sun shines – the rest of the time the rain is pouring down in quantities I have not seen before. When the weather is like today, with solid rain, umbrella and rainwear are almost useless. If you’re not wearing a drysuit, you get soaked to the skin. This entry was posted in BaseWord, HomeBase, PhotoBase, World on 17 August, 2010 by Erik. While I was out taking a walk, I was greeted by flying thistle seeds. 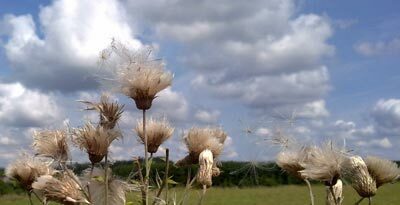 I came to think of my time in high school, where the Principal compared us students with thistle seeds, which fly out in the world. Some fly far away, others only short, but hopefully the seeds lands in a place where it can take root. I wondered how far I had flown since then, and whether I had landed in the right place. This entry was posted in BaseWord, me, PhotoBase on 7 August, 2010 by Erik. I find it hard to run regularly; so to keep me just a little in shape, I often take some long walks in high speeds. And almost always in the company of Amy Winehouse, Leonard Cohen, Katie Melua, U2 or some other artists … as guests in my iPod. This entry was posted in BaseWord on 7 August, 2010 by Erik.